Miracote ColorPax LIP (Liquid Integral Pigment) is a formulated coloring dispersion that is mixed with the liquid polymer component of cementitious base coats. Add one container per 5 gallons of liquid. Miracote ColorPax LIP Pack is designed for use in MiraStamp Liquid Polymer and Miracote Liquid Catalyst to produce accent coloration in Overlay MiraStamp, Miracote MT-DP and Miracote MPC Pool Deck topping applications. ColorPax LIP can be added to MiraPatch RM White to produce a decorative repair mortar, and can be added to Miracote Mirastain to accent applied toppings. Color chart is approximate. Actual color should be approved based upon actual samples or draw downs of the seleted color and material sample. 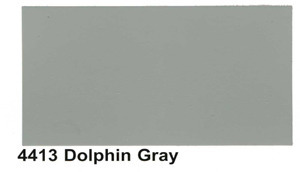 Final color appearance is affected by lighting, surface texture, proflie, method of applications, and sealer selection.